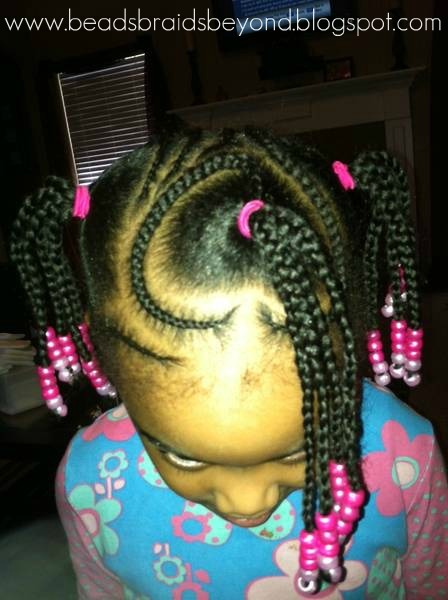 Beads, Braids and Beyond: Another Adorable Heart Hair Style! Another Adorable Heart Hair Style! Alyse emailed me this beautiful heart style, I just had to share! :-) To see more amazing heart styles, check out our Facebook Page! "Hello! My name is Alyse. I have been following your blog for about a year now and today I just completed my first heart themed style on my 4 year old daughter, Davyne's, hair! I'm excited about it and would like to post them to your page but I am not sure how to do that. Is that a possibility? Your blog is extremely helpful. Please keep doing what you do! Thanks"
This is really pretty Alyse! Luvly Wud definetly try this style on my luvly customers.this is pure creativity.I luv it!!! May I steal this style! Thank you! Valentine's Day Hair - Lots of Braided Hearts!